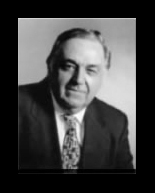 Tom Williams (1929 - 2016) was the founder of TradeGuider Systems Software (formerly Genie software) and initiator of the Volume Spread Analysis methodology- he was also a very successful syndicate trader in the U.S.Tom was introduced to day trading while working in Beverly Hills for a boss of an elite group of trading syndicates. These trading syndicates revealed their successful strategy to Tom. He gained their trust and confidence and soon became an established member of their organization. Tom began hand-drawing the charts that the pool would use to make their speculative attacks, and while doing this, he recognized a relationship between price movement, the volume, and where the price closed. The syndicates decided it was time to send Tom to the Wyckoff Chart Reading course in order for him to understand and finally get a firm grasp of exactly what was going on in the markets, especially when he drew these charts. Tom realized all the clues to make wining trades were in the charts, if you knew how to read them correctly. Williams retired from professional trading at the age of 40, taking up a number of commercial ventures during this period. Tom continued to trade as well, but became consumed with all the knowledge he had learned from the syndicate and it’s traders back in the United States. Tom's real ambition was to help traders operate in a more informed way, and this idea formed the basis of his software development company, Genie Software Ltd. He wanted to computerize the Wyckoff Method and the knowledge he had gained from that course to produce automated trading signals that did not have to rely on human intervention. Tom further developed Wyckoff's methodologies to create his own more potent methodology - Volume Spread Analysis - regularly referred to as "Wyckoff on Steroids"! Tom has spent many years refining the signals in this flagship product, VSA (The forerunner to TradeGuider) to make TradeGuider Software Systems what it is today. He also wrote two books that he self-published, “The Undeclared Secrets that Drive the Stock Market” and “Master the Markets”. Both books have now sold or been distributed to over 100,000 traders and investors worldwide. Tom Williams had been energetically and successfully applying his unique methodologies for the last 30 years to the Stocks, FOREX and Futures markets.